Warning: These are super addicting. 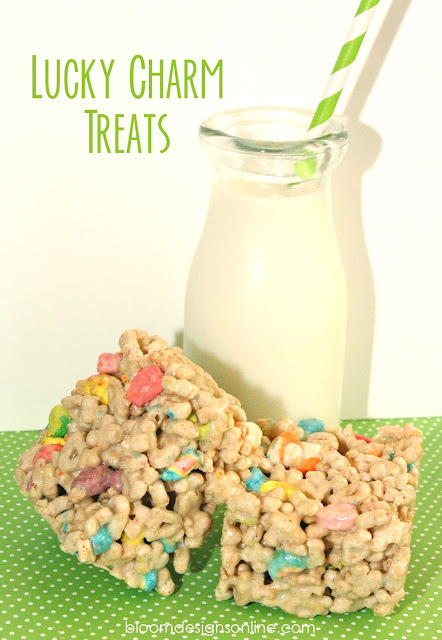 My kids would eat Lucky Charms for breakfast every morning if I let them, and since they think this cereal is synonymous with St. Patrick's day, I decided it would be fun to create a dessert out of these tasty tidbits Using a traditional Rice Krispie Treat recipe but substitute the Krispies with Lucky Charms to make a great St. Patty's day snack. At first bite, I thought they were OK...six bars later, I was hooked:) Honestly, I couldn't stop eating them. Neither could anyone else at the party. Line a 9 x 13 pan with parchment and spray with non-stick spray. Melt margarine in a large pot over medium heat. Add marshmallow and stir until melted and smooth. Remove from heat. 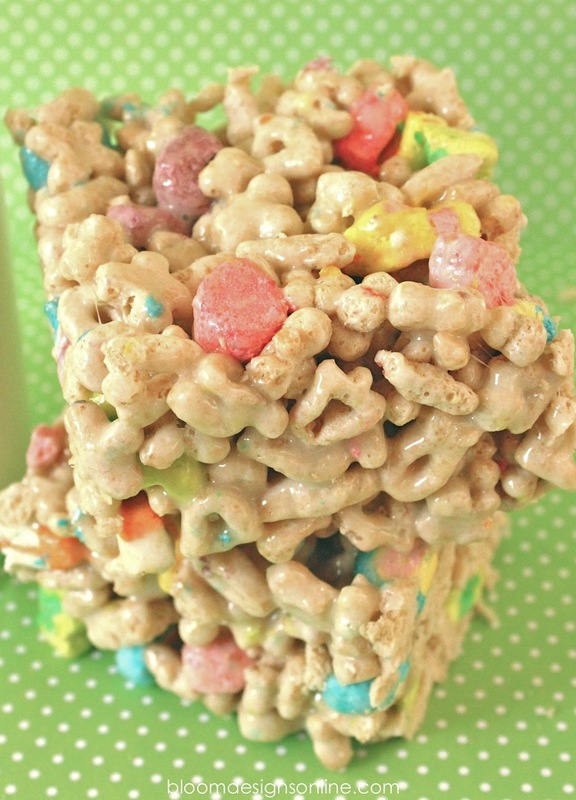 Add Lucky Charms. 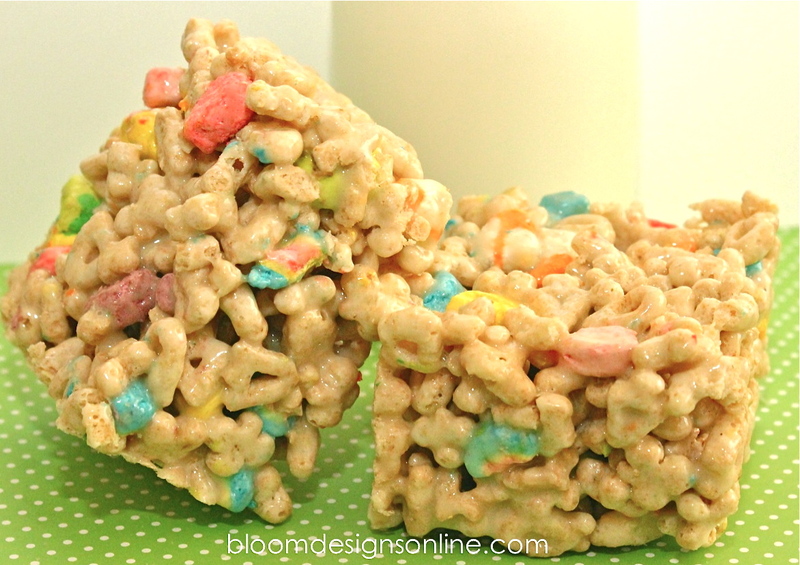 Stir quickly so that the charms don't melt. Press into pan. Chill until set. This is probably the only way I could get my kids to eat the "cereal" part of Lucky Charms! ha! This is perfect for Easter too. Or birthday parties! Thanks so much for the cute idea and recipe. I'm supposed to bring something to PreK class for the party. I think I'll be doing this. Thanks! These treats look great. Thanks for the tutorial. I am going to make them for my toddler for St. Patrick's Day.